SeaClear is a brand new product specifically designed to stop the buildup of marine growth on your underwater lights. There is no other product on the market that can do the same job as SeaClear. Made to last twelve months between applications it keeps your lights bright and clear. Solvent wipe the glass and the bronze flange. Place the SeaClear container in hot water or microwave until liquified. 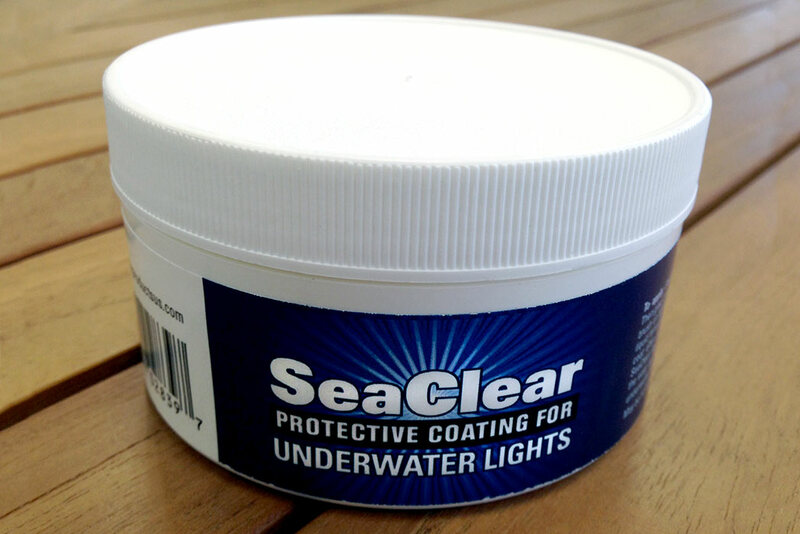 Apply 3 coats by brush or sponge to the underwater light surfaces. Allow 10 to 15 minutes between coats. Clean all surfaces of the light including the glass lens. Care must be taken to ensure there is no damage to the glass lens during this stage. Solvent wipe the clean surfaces. Heat the SeaClear container until contents liquify. Apply 3 coats of SeaClear by brush or sponge. Allow 10 to 15 minutes between coats. Re apply on an annual basis or sooner as required.